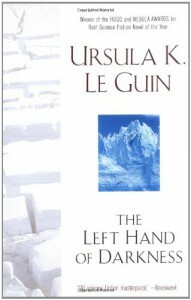 My first Ursula K. Le Guin book and I thought it was fantastic! Tipped to the book from watching "The Jane Austin Book Club" on cable, it's probably one of the reasons the 70s is considered the heyday of sci-fi novels. Highly recommended for sci-fi lovers and novices and anyone who hasn't read any Le Guin yet.